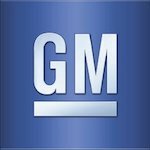 General Motors has hired Ballard Partners, which has close ties with the Trump White House, for federal representation on labor and fuel efficiency matters. GM is in the midst of a $2.5B corporate restructuring that will lead to the shutdown of plants in Detroit-Hamtramck, Warren (MI), Lordstown (OH) and Baltimore and the loss of thousands of jobs. President Trump told GM CEO Mary Barra in November that he wasn’t happy about the planned job cuts, especially in light of the US bailout of the automaker. Brian Ballard, who chaired the Trump Victory organization in Florida during the 2016 presidential campaign, heads his firm’s four-member GM team. Syl Lukis, Ballard’s DC managing director; Susan Wiles, senior strategist in the Trump campaign and former campaign manager for Florida governor (now Senator) Rick Scott; and Pamela Bondi, ex-attorney general of the Sunshine State and a member of the Trump transition team, also rep GM.